Diamond/Pearl When its eyes gleam gold, it can spot hiding prey--even those taking shelter behind a wall. Heart Gold LUXRAY�s ability to see through objects comes in handy when it�s scouting for danger. 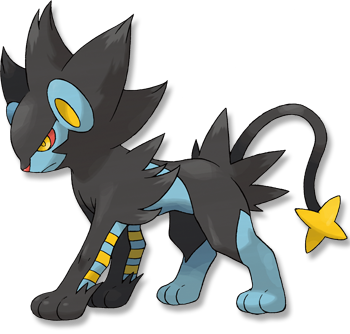 Soul Silver LUXRAY�s ability to see through objects comes in handy when it�s scouting for danger. White It can see clearly through walls to track down its prey and seek its lost young.